I use an iPad Pro in college instead of a laptop and I needed a case. 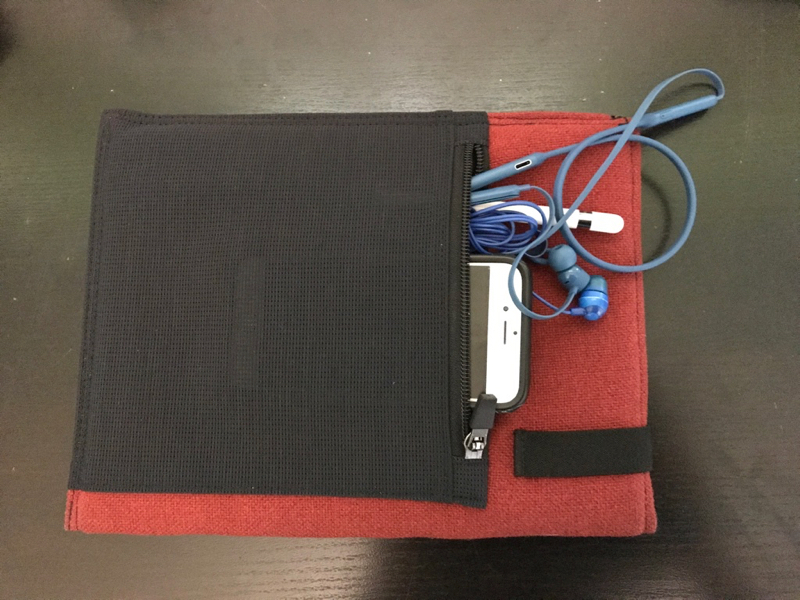 My Dad recommended a Waterfield Dash Sleeve for iPad Pro. Over the past two months this case has been amazing and helpful. I keep the case in a bag, which typically also has a few notebooks. I go to college in Florida, so rain is a recurring problem and my bag isn't waterproof. Normally I would be concerned about my devices, instead all I have to do is put my phone in the zipper pocket of the case and everything is safe. The pocket on the back is very helpful for keeping all of my things together. Inside of that zippered pocket there is a dedicated pouch to slide my Apple Pencil into. In addition to the Apple Pencil I also use the zippered pocket to store my headphones and my phone. More things could fit in the zippered pocket if you need it to carry more. Also, the material is more forgiving than it looks. I was concerned that the mesh pocket would let water get through, but it doesn't. I've accidentally spilled my water on the back of the case and quickly took everything out of the pocket and it was all dry. I then proceeded to play with the water to see of it would seep through the mesh, but it didn't. This case is also shock absorbent from what I’ve seen. I’m prone to only drop it from a relatively low height (like a table, desk or night stand), but it has held up. Just from inspecting the case it definitely cradles the iPad, so it is shock resistant. I have a 10.5 inch iPad Pro with a Smart Keyboard and Waterfield has versions of the Dash Sleeve for iPad Pro available to fit iPad Pro with or without the Smart Keyboard. Be careful about the open top. As long as the iPad is all the way in the case, the edges aren't exposed to damage. It is open to get water in from the opening of the Dash Sleeve, but so far I haven't had any issues with that. Overall, there is nothing negative to say about Dash Sleeve for iPad Pro from my experience. Being in college tends to be rough on devices. I’d recommend this case to anyone…I love it. It’s compact, protective and is easy to carry.